T.Webber provides complete bathroom remodeling solutions throughout the Hudson Valley. From small upgrades to full-service bathroom renovations, our team of Bathroom Experts can help create the bathroom of your dreams in as little as two days. Why choose T.Webber for your bathroom renovation? Turnkey Bathroom Solutions: As a full service home services company, T.Webber has the specialized talent to bring any vision to life. Our Bathroom Remodeling Team is comprised of licensed plumbers, electricians and carpenters. No need to worry about General Contractors who subcontract out important elements of your project. By calling T.Webber, you can put your trust in one company for the full scope of your remodel. Professional, Background Checked Employees: Our greatest assets are our professional team of tradespeople who take pleasure and pride in their work. Background checked for your safety, and cream-of-the-crop in their craft – our staff are widely respected as the finest in our area. Custom Solutions: Every home and every bathroom are different. With T.Webber Bathroom Remodeling, we can customize each project to your exact specifications. Our Bath Planet bath and shower products allow for complete customization with shortened installation times. Additionally, our team of craftsmen can also take on more comprehensive remodels including tiling and flooring allowing us to flex with your vision, budget and timeline. 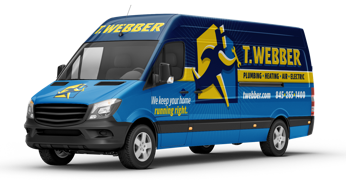 Flexible Financing Options: At T.Webber, we offer numerous financing options to help bring your bathroom dreams to reality without breaking the bank. Our team has both low and no-interest financing available with approved credit. 30 Years of Trusted Experience: A+ Rated by the BBB, our team has been exceeding customer expectations for nearly 30 years. We sweat the small stuff – like courtesy calls before arrival, and wearing booties in your home. Our job isn’t complete until you are 100% satisfied. What are you waiting for? Call today to take advantage of a complimentary Design Consultation to see what our team can do for you.